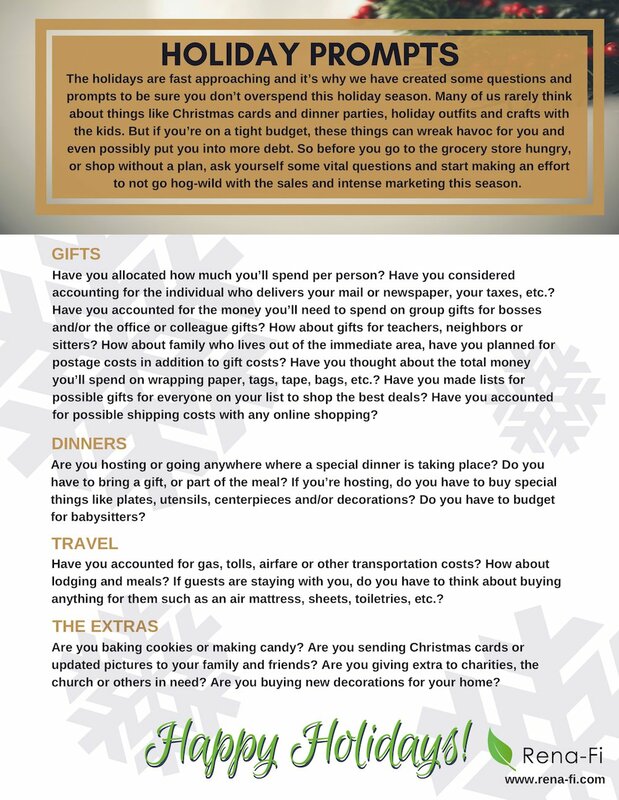 The holidays are fast approaching and it’s why we have created some questions and prompts to be sure you don’t overspend this holiday season. Many of us rarely think about things like Christmas cards and dinner parties, holiday outfits and crafts with the kids. But if you’re on a tight budget, these things can wreak havoc for you and even possibly put you into more debt. So before you go to the grocery store hungry, or shop without a plan, ask yourself some vital questions and start making an effort to not go hog-wild with the sales and intense marketing this season.